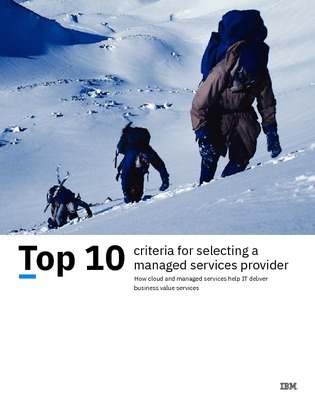 Why partner with a managed service provider? The answer is simpler than you might expect. Managed services can take the stress of managing day-to-day hybrid, public, or private cloud systems away from your team and allow you to focus on what’s more important; growing your business. Do they have a deep and specialized skill-set in the service you need? Does the provider use a “break/fix” mentality or are they proactive about solving problems? Are they in alignment with industry best practices and ITIL standards?